Would you like to say nice things about Flipping Physics? Listen before you start to make sure the space is relatively quiet. Pick a background that is not a bright light or window. Orient yourself in the camera frame somewhat like I am in the above video. 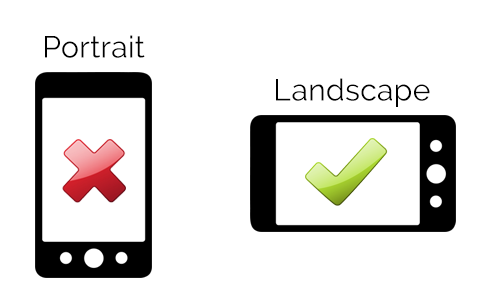 Use landscape, not portrait orientation. Steady the camera either with a tripod or just a table and book. Do multiple takes. Trust me. Every video I create has multiple takes of every sentence. I just repeat myself over and over again until I get it right. Please do not say negative things about other teachers. Please do not be offended if I do not end up using any part of your video. Share your full resolution and full quality video with jon@flippingphysics.com via a file sharing service like DropBox, Google Drive, Box, Sharefile, Thru, etc. Sign my Video Permission Form and email it to me. I really look forward to hearing what you have to say and thank you for your help! p.s. If you are planning to do this for me (THANK YOU) and could you please email me just to let me know. 2018.10.23 Update: So, this did not really work out at this time. My plan right now is to re-request people do this, however, I will do that in May of 2019. Hopefully right after the AP Exams students and teachers will be inspired to help me out, because I helped them out. So, you can look forward to that.